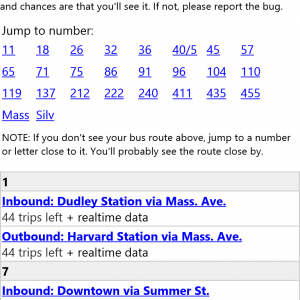 Access OpenMBTA’s information for bus, subway, commuter rail, and alerts. 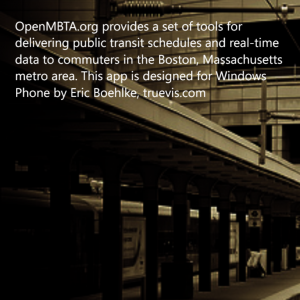 OpenMBTA.org provides a set of tools for delivering public transit schedules and real-time data to commuters in the Boston, Massachusetts metro area. The app requires a live Internet connection. 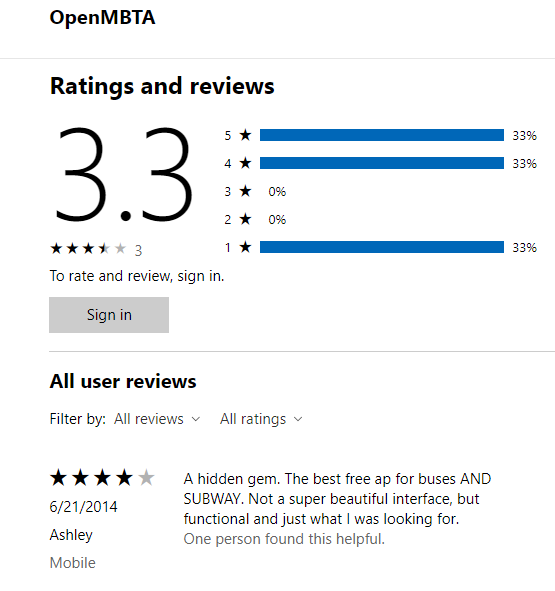 No data are collected by truevis.com about its users by the app.